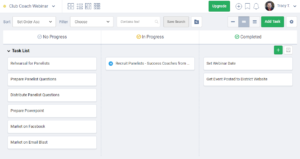 Freedcamp is a free online project management tool designed for use by teams. It is similar to Basecamp. Note: At the bottom of this article are links to Freecamp and tutorials for getting started. 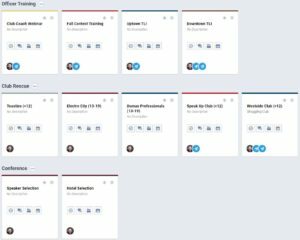 There are paid options for Freecamp, but the free version should work great for any Toastmasters district (or even club) project. Once an administrator creates the account, they can add people and projects to the account. 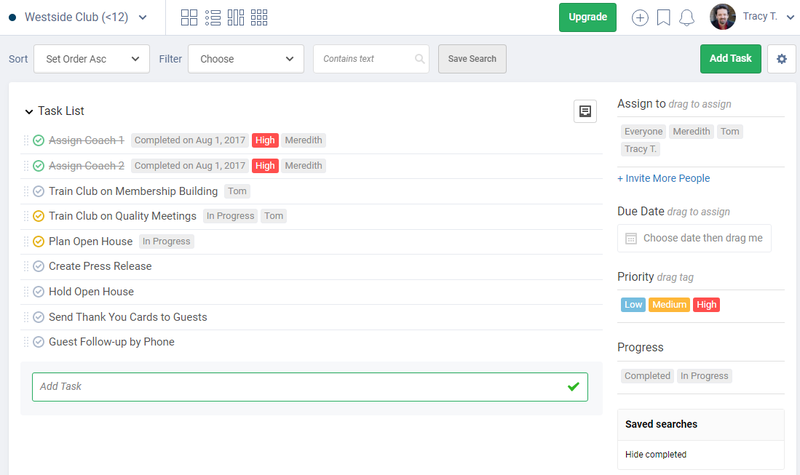 Each project can be added to a larger group. 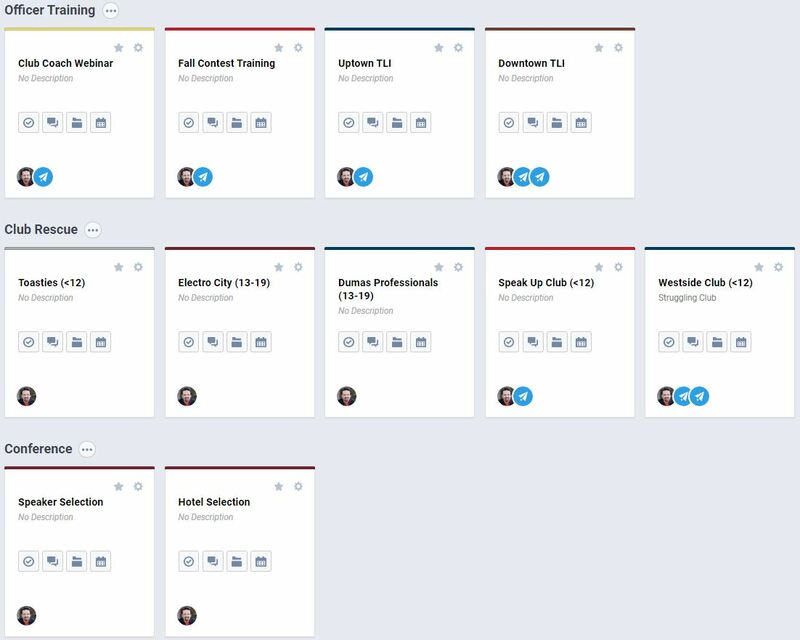 For example, all training events (TLIs, webinars, District Officer Trainings, etc) could be placed in a Training group while all conference projects could be placed in a Conference group. When a person is added to a project, they will only have access to that particular project and they’ll receive email notifications of changes to the project. For example, if you had a group labeled Club Rescue for clubs with membership below 20, you could create a project for each struggling club. The Club Growth Director and Club Coach Chair would be members of every project. Club Coaches, though, would only be added to the individual club that they are coaching. When new information is added to the club rescue project or when tasks are completed, only the CGD, CCC, and the individual club coaches would be notified. Of course, the Club President, Area Director, or other people could be added to the list, too. 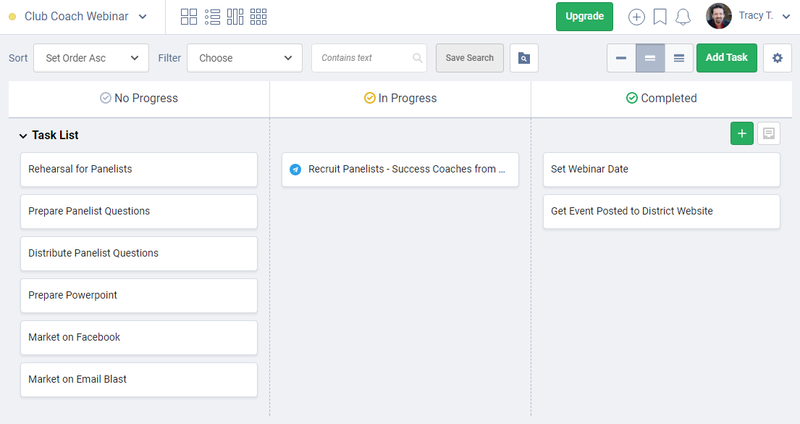 Each user will get their own dashboard where they can view all of their projects. See the Dashboard image to the below. 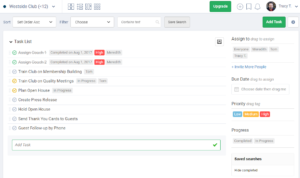 Each project’s To Do list can be displayed in a to do list format or in a kanban board format. And different projects can use different styles so not everyone has to follow a to do list or a kanban board. I personally like the kanban board for my projects but the to do list works well, too. If you have other questions about using Freedcamp for Toastmasters projects, please contact me.